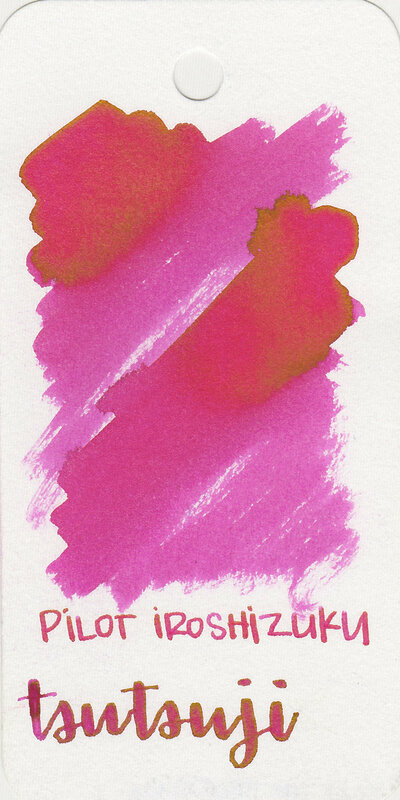 Different inks have different properties, including: sheen, shimmer, shading, etc, which is part of what makes inks so fascinating. 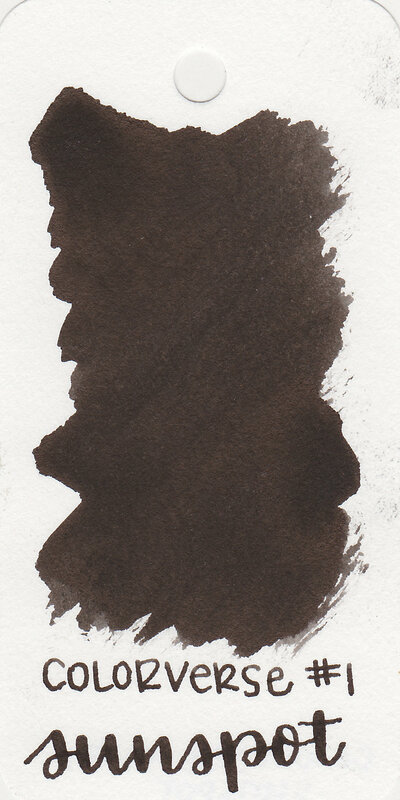 I find shading and sheen to be interesting, and use them more than inks that don't have special properties. 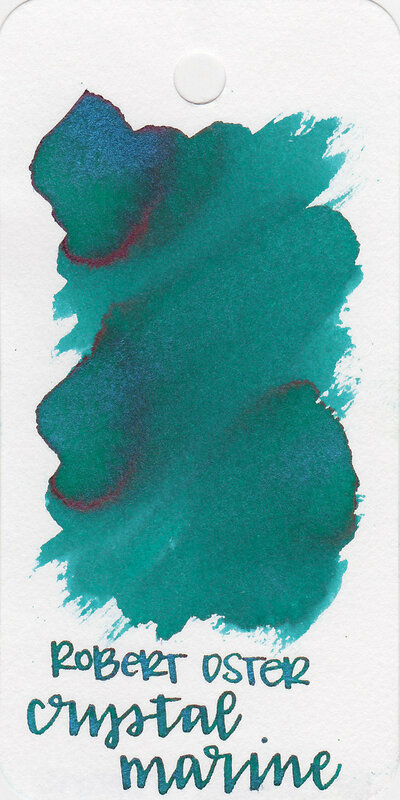 So far I haven't had much experience with shimmering inks, so I'll talk about them after I have had more time to experiment with shimmer. On the left is Diamine Golden Sands, which is a dark yellow ink with gold shimmer. 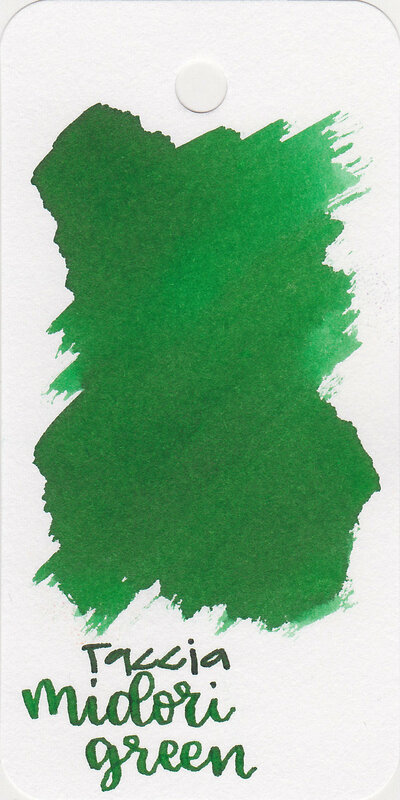 In the middle is a swab of J. Herbin Emerald of Chivor, which is a popular ink, and can be confusing because it is a sheening ink and a shimmering ink. It has a red sheen, and gold shimmer. 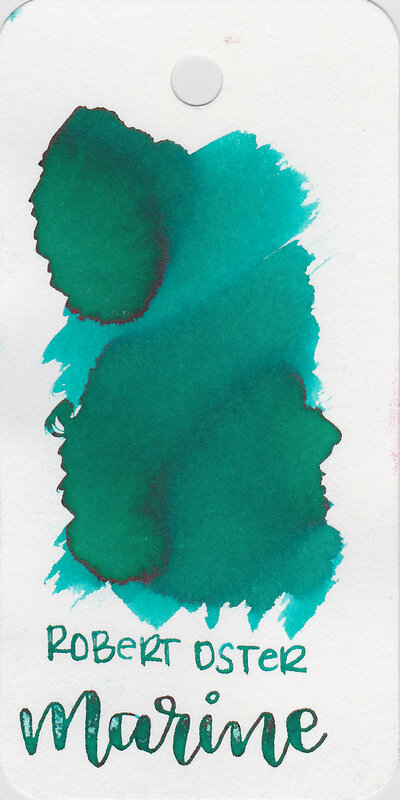 On the right is Organics Studio Walden, which has the most sheen I have ever seen in an ink. Sheening inks can be divided into five categories. 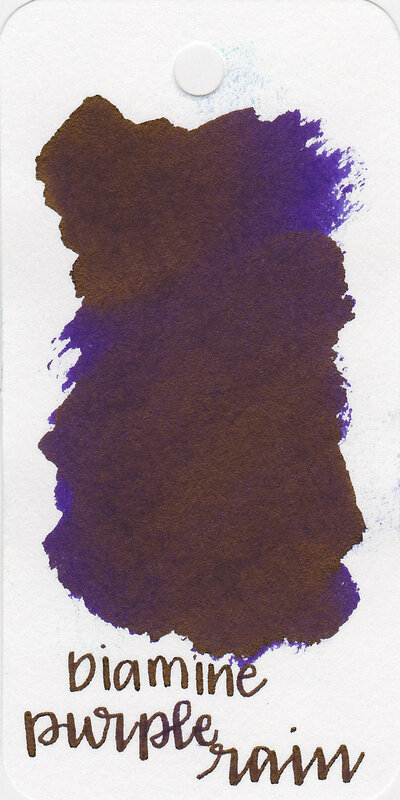 For the purposes of reviewing ink, I evaluate an ink's sheen based on how it performs on Tomoe River paper. 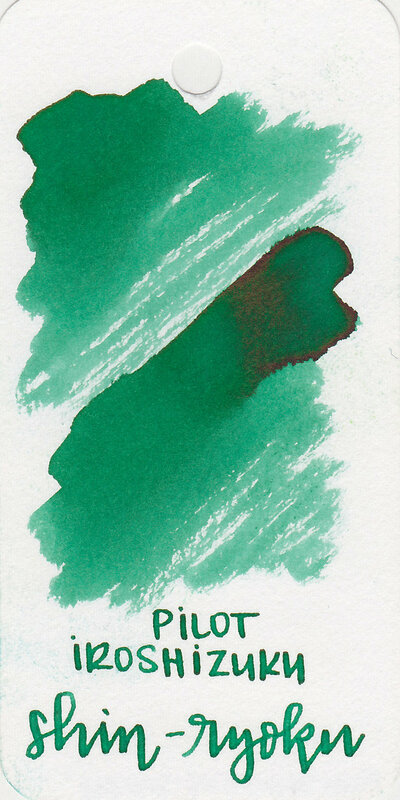 A lot of inks show sheen in large swabs or ink drops, but some of them only show sheen in large swabs, but don't show any sheen in writing. 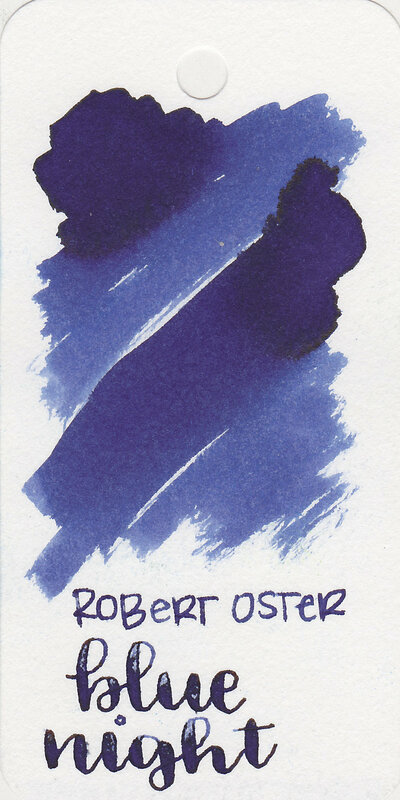 I consider these inks to have a tiny bit of sheen. 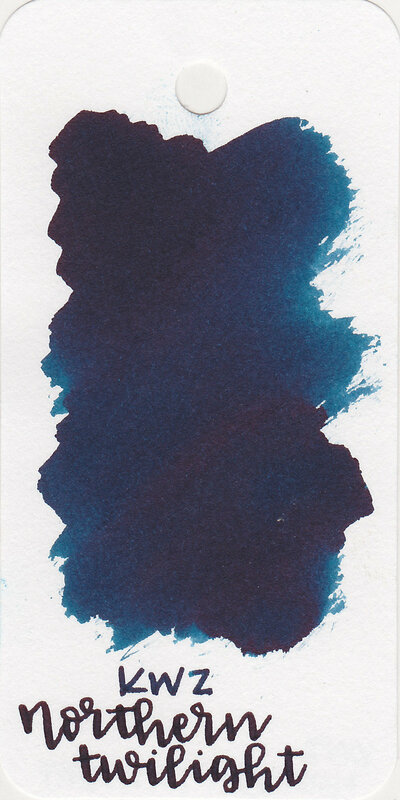 Inks that show sheen when used for writing fall into the other four categories: low (shows sheen in 1-2 nib sizes), medium (3-4 nib sizes), high (5+ nib sizes), and monster. 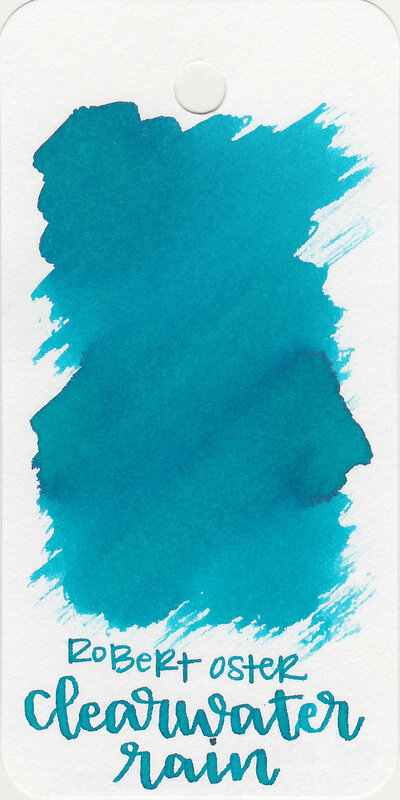 Monster sheeners are inks that sheen in 5+ nib sizes on other papers than Tomoe River, such as Organics Studio Walden, which has high sheen on every paper I tested it on, including Baron Fig Confidant paper, Leuchtturm 1917, and Rhodia. I have only included inks I have already reviewed. 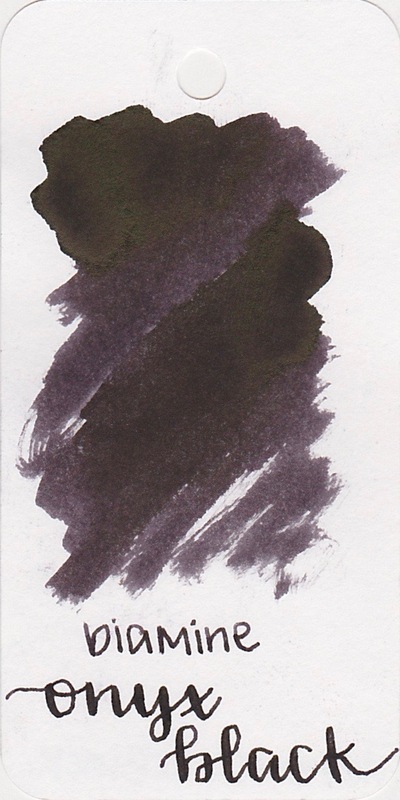 Sheen is a popular topic in the fountain pen community, so I will keep this page current, updating it whenever I review an ink that has sheen. Click on a swab to be taken to a review and pictures of that ink. Yagan Kiely on his blog Macchiato Man talks about the difference between sheen and shimmer. 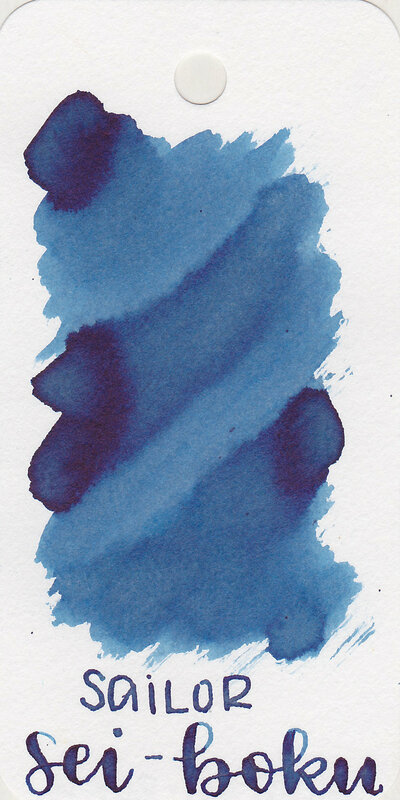 Brian Goulet, from Goulet Pens talks about his favorite sheening inks. Disclaimer: All photos and opinions are my own. This page is based on my experience with sheen, and is not to be taken as fact.